RIYADH: Saudi women have mounted a rare protest against the abaya, posting pictures on social media wearing the obligatory body-shrouding robe inside out. The conservative petro-state has some of the world's toughest restrictions on women, who are required to wear the typically all-black garment in public. Powerful Crown Prince Mohammed bin Salman in March said wearing the robe was not mandatory in Islam, but in practice, nothing changed and no formal edict to that effect was issued. 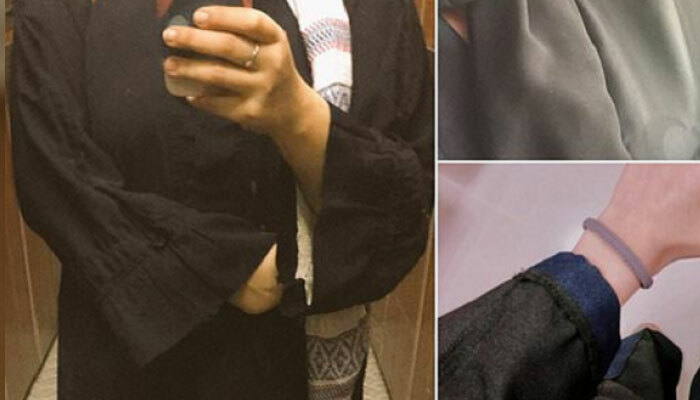 Using the hashtag "inside-out abaya", dozens of women have posted pictures of flipped robes in a rare protest against the strict dress code. "Because #Saudi feminists are endlessly creative, they've come up with new form of protest," activist Nora Abdulkarim tweeted this week. "They are posting pictures of (themselves) wearing their abayas inside-out in public as a silent objection to being pressured to wear it." Another woman on Twitter said the online campaign, which appears to be gaining traction after it surfaced this week, was an act of "civil protest". In an interview to CBS Television in March, the crown prince said: "The laws are very clear and stipulated in the laws of Sharia: that women wear decent, respectful clothing, like men." But, he added, this "does not particularly specify a black abaya. (It) is entirely left for women to decide what type of decent and respectful attire to wear." Prince Mohammed, currently facing global criticism over the murder of critic Jamal Khashoggi, has spearheaded a liberalization drive in the conservative kingdom.